Remember to bring your laptop computer and internet devices as the villa has free Wi-fi broadband Hotspot Internet access. Computer not provided. You have the option of Wireless, or you may use direct Ethernet connections at the desk in the dining room or in the living room. Stay connected with your clients, work and home and stay longer at Villa Coralina. VPN is no problem with our secured wireless Internet WiFi hot spot. Our high quality free internet phone will make you feel as if you are in the US. 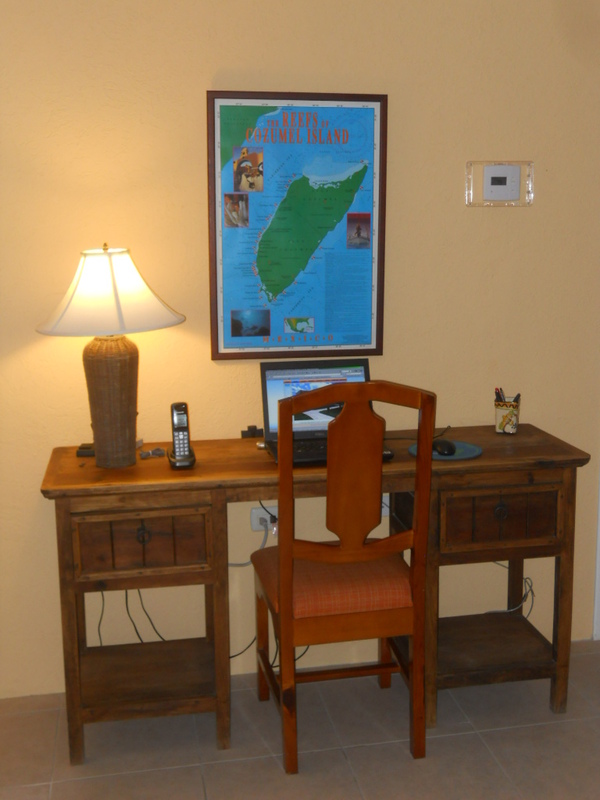 Your Wi-Fi password will be issued to you with your welcome package, and will be provided to you as part of your check-in with the Island Property Manager.